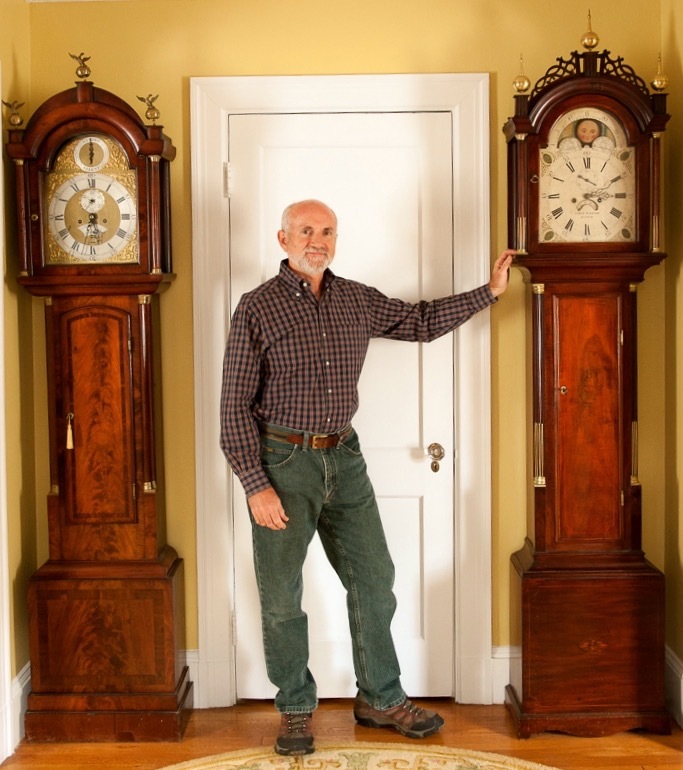 Bob Frishman has repaired, restored and sold antique clocks for more than thirty-eight years. In 1992, he founded Bell-Time Clocks, named after a Harper's Weekly engraving by Winslow Homer depicting New England mill buildings and workers. Having scaled back his repair and selling activities, he now devotes most of his time to research, writing, lecturing, and conference organizing. 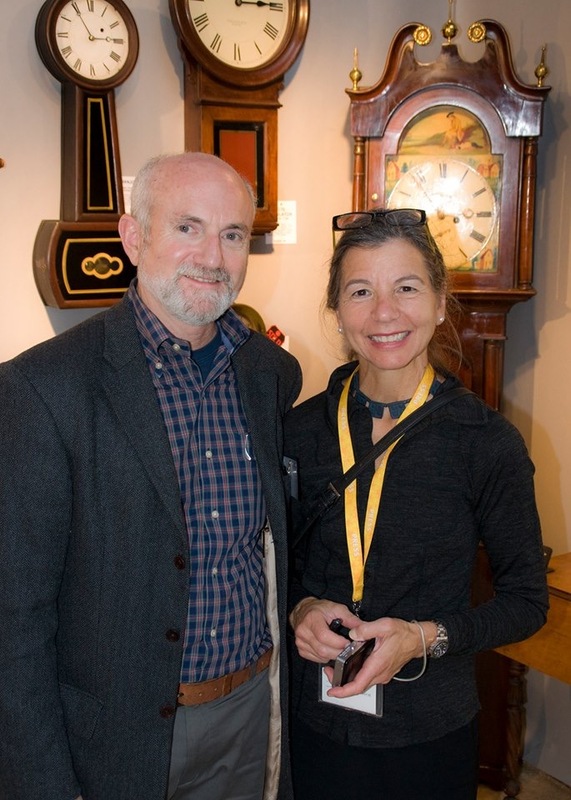 Bob Frishman, a Fellow of the National Association of Watch and Clock Collectors, is chairman of the NAWCC Time Symposium Committee. He organized the very successful 2016 "Clocks at Winterthur" conference and the October 2017 "Horology in Art" symposium at the Museum of Fine Arts, Boston. He is a past-president of NAWCC New England Chapter 8 and was in charge of producing all of the chapter's many meetings, workshops, lectures and educational programs. As a scholar of horology, he has published more than 80 articles and he has given more than 90 presentations to historical societies, service organizations and academic groups. In 2016, he was admitted as a Freeman of the Worshipful Company of Clockmakers, the professional guild in London, England, chartered in 1631. In 2017, he became a Proprietor of the historic Boston Athenaeum, receiving share 28 formerly owned by the family of famed New England scientist Nathaniel Bowditch (1773-1838). After graduating from George Washington University in 1973, he worked ten years in the U.S. House of Representatives, Washington, D.C., as a speechwriter, legislative assistant and press secretary. The next ten years he was Vice President and then President of AKKO, Inc., his family-owned acrylic furniture manufacturing company. He served as a member, and then chairman, of the Lawrence (Massachusetts) Planning Board. From 1993 to 2003, he was one of three trustees of The White Fund, Inc., a Lawrence-based charitable foundation, and a trustee of the Lawrence Public Library. Age 66, he is married to art and antiques writer Jeanne Schinto and lives in Andover, Massachusetts, his home town. I still love bringing old tickers back to life, but I have an equal love these days for the educating and entertaining I can do with this rich subject. Every customer gets the background of the clock they buy or bring for restoration. My articles allow me to research and share some new part of this story. Audiences at my presentations gain a new appreciation for the clocks in their world.